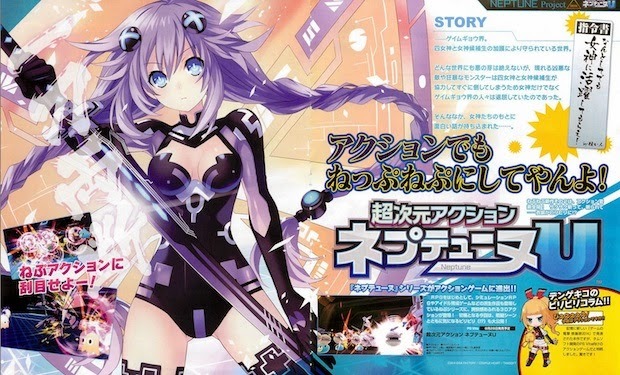 A few months ago, a new Neptunia game called Hyperdimension Action Neptunia U was announced in Dengeki Playstation Magazine in Japan. The details given at that time were that it was an action spin-off of the original series and we could expect it in Japan on the 28th of August 2014 for PS Vita. The video below is from the Youtube of the game's developers Compile Heart. According to the videos title, it is the Opening Video for the game. The video showcases the characters and gives a small taste of what we can expect from the game.